KATHMANDU, March 12: Nepal is taking on Kenya on Monday in the second match of the ICC World Cricket League at the TU Cricket Ground. 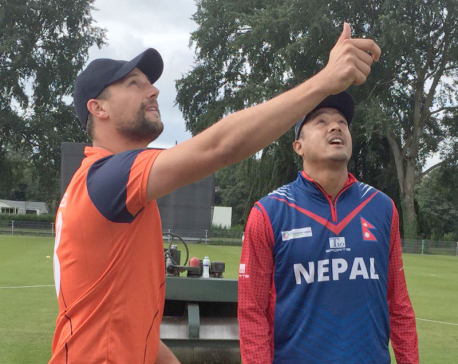 As Nepal lost the first match with Kenya by 5 wickets on Saturday, the second match is going to more crucial for Nepal to keep mathematical hopes alive to stay in the tournament. Nepal, playing on the home ground, hopes to win crucial points from Monday's match. Republica delves into the five factors Nepal has been looking for the Monday's match. 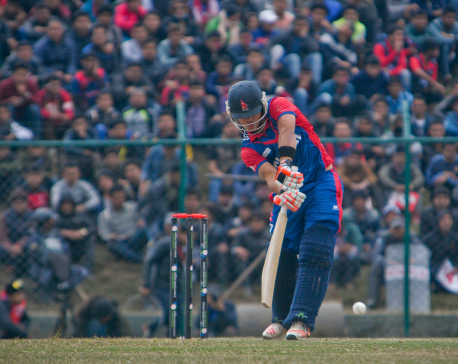 Nepal lost the first match in the ongoing ICC World Cricket League on Saturday. Earlier, Nepal had lost to Kenya twice in the ICC World Cricket League Division-2 in January 2015. As Nepal has never defeated Kenya in the 50-over matches, Nepal will be looking for the very first win against the team, which had played five consecutive World Cups from 1996 to 2011. Top four teams of the ongoing league will directly book tickets for the ICC 2019 World Cup Qualifiers. Nepal now stands sixth in the points table with six points from 9 matches while Kenya is at the fifth position with 10 points from 9 matches. Netherlands is on the top with 16 points from 10 matches while Papua New Guinea has 12 points from eight matches. Likewise, Hong Kong stands third with 11 points from 10 matches and Scotland is on the fourth place with 11 points from eight matches. After losing the first match against Kenya, Nepal has a slim hope to qualify for the top four positions. Though the tournament is yet to go long way, the points table tells that Nepal's chance of qualifying is more mathematical. In this scenario, Nepal has to win Monday's match to keep the hope alive and improve its position on the points table. The highest partnership between Nepali batsmen in the Saturday's match was the 30-run ninth-wicket partnership between Shakti Gauchan and Sompal Kami. This fact shows that Nepali batsmen never settled on the crease. Particularly, Kenyan fast bowlers were dominant over Nepali batsmen on Saturday. Kenyan fast bowling trio Elijah Otieno, Nehemiah Odhiambo and Nelson Odhiambo claimed four wickets in total. Nepal's top order failed to the trio on Saturday. In this scenario, Nepal team wants its batsmen to click on Monday's match. On Saturday, the biggest strength of the home team was arguably the crowd in the stadium. Nepali cricket fans are phenomenal among the associate nations. Nepal has already lost to Kenya in the first match and it has poor run on the points table but the team Nepal is confident to get continuous support from the home fan. 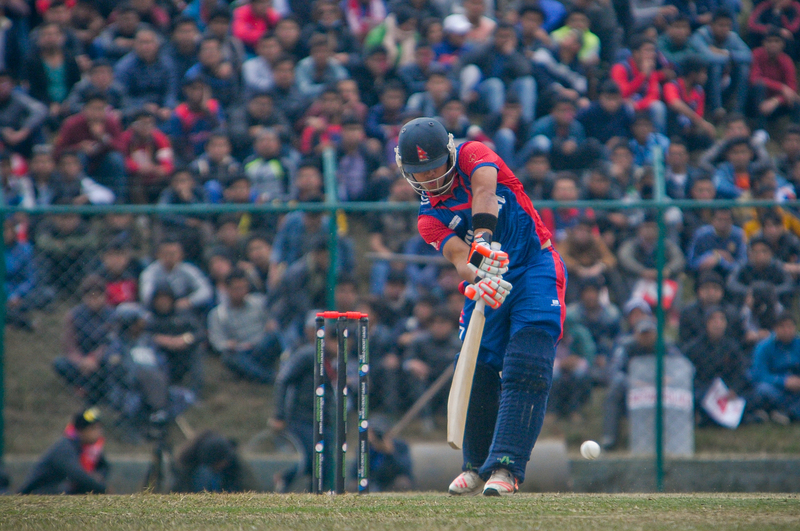 Around 15,000 Nepali fans were at the TU Cricket Ground on Saturday and equal numbers of fans are expected for Monday. The e-Sewa, which is assigned to sell the tickets, on Friday, had informed that only few tickets were left for Monday's match as well. International participants were taken by surprise upon seeing the presence of thousands of spectators cheering for the Nepali team. Skipper Paras Khadka, who is recovering after the surgery of appendicitis, didn't play in the first match. He could be in the playing XI on Monday. However, the team has said that they will take the final decision only on Monday morning. Mehboob Alam was less effective on Saturday's match. He scored just 2 runs and didn't bowl a single over. Thus, Alam could be replaced. Either skipper Khadka or Arif Sheikh could replace him. Nepali team wants skipper Khadka to be match fit for Monday or the players replaced to click.